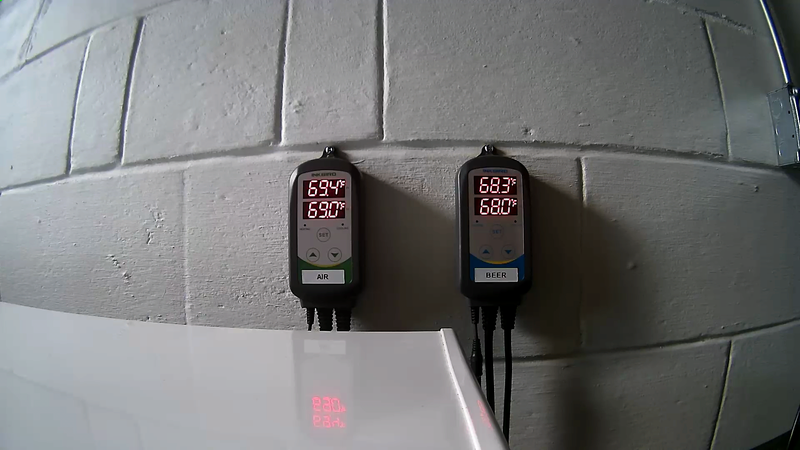 Anyone have a IP camera so they can keep an eye on there fermenter or temp controller? I feel like it would be super cool to be able to see video any time I want. It would be cool if I have a temp controller than sent data to internet also but figure I can just check the video for temp data. Hmmm we have a surveillance system at the northern house. Now you have me thinking about adding another camera. Easy enough to do. It can have 16 cameras and we only have 10 now. An app on our phones give us easy access. Check out the Arlo. I have one just to check when I am traveling that the house is still standing or the dog has not eaten the couch. It was not very expensive, has never gone off line on me, easy access with the app. Cameras are rechargeable or you can leave power cable connected , but I only have to charge it maybe after 4 months or so, and even then there is still battery life, I just like to charge if it gets down halfway (indicated on the app). I may add a few more cameras someday. Cameras are also rated to be outside. We have Arlo cameras. Reasonably happy with them. I feel like battery life could be better. We also have a Vimtag camera that my wife got to keep an eye on the dogs and pet sitters when we're away. It needs an outlet but you can control it with an app, move the camera around and actually listen and talk through it. So if you need to have a chat with your yeast you may want to consider that one. If you only want it to watch fermentation there are probably cheaper options than Arlo or other battery powered weather proof cameras. I spend a lot of time sitting on my porch whatching my grass grow never thought about getting a camera to keep tabs on it while I'm away. Would one of these cameras work for that? 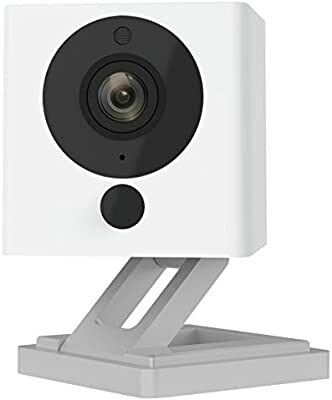 My daughter has one of these Wyze cameras to monitor her dog when she leaves him alone. She loves it. My daughter has had hers 5 or 6 months now and says it's better than another one she spent twice as much on. Should be great for your simple application. Good call my wife always wondered what the cat did all day. I've done time lapses with a Nest cam but don't normally keep a camera on my beer. I did, however, once, very accidentally, freeze a keg. I bought a digital La Crosse weather station that displays inside and outside temps. I put the display unit near my computer desk and the remote sensor in my keg fridge. No more frozen kegs! Well this Wyze camera is pretty neat. It isn't watching anything amazing at the moment but I can monitor my temps from my phone. Working on ramping up the air temp to keep temp up while it slows. Using controller on left for heat reading air temp. Have a heating mat taped on the wall of the freezer. The other is reading beer temp taped and insulated from air temp. Have the cooling plugged into it but adjusted it so it wouldn't turn on now anyways. Pitched @ 66°F and fermented there for 3-4 days until I let it slowly free rise a couple degrees. Tried it inside the freezer and it was able to stream live but the night vision was too bright with the walls of freezer being shiny.